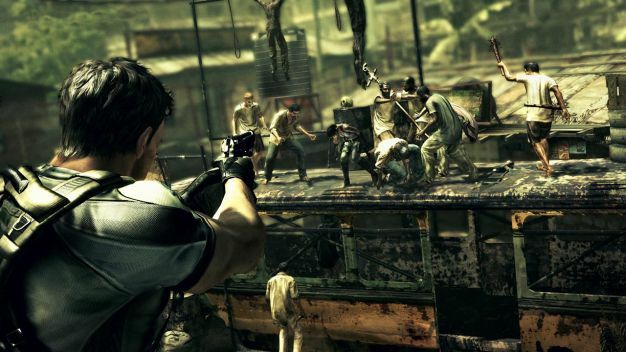 Shinji Mikami, Capcom alumnus and acclaimed creator of the Resident Evil series, plus executive producer on hits like Viewtiful Joe and Devil May Cry, recently got his snoot on in an interview stating he pretty much refuses to play Resident Evil 5. I guess I can see where he’s coming from. It is, after all, one of his babies. It’s understandable that you wouldn’t want to see it put in someone else’s hands after investing so much into it. Add to that the fact that Mikami probably wasn’t ready to stop making Resident Evil games and it makes more sense. Hideo Kojima seems to have similar attachments to the Metal Gear series. However, unlike Mikami, he has confidence in the team making the MGS sequel without him, and stopped work on the series of his own will. Still, a remark like that in the public arena, while not a direct attack of any kind, could well prove disheartening on the team crunching away at the sequel. Fret not, developers, it’s we the gamers who will (likely) spend lots of money and make it worth your while.